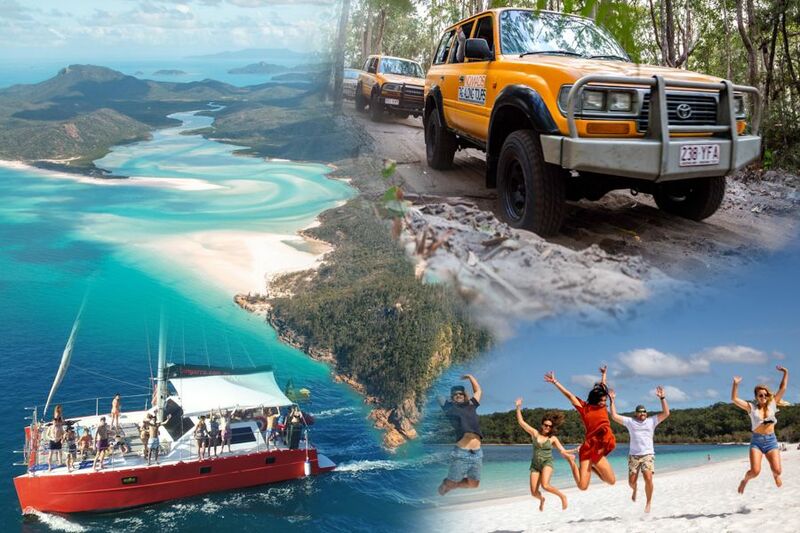 This action-packed tour will allow you see both the stunning Whitsunday Islands and the unique Fraser Island! See the best of both with 2 tours for those who want to enjoy a social experience exploring the East Coast of Australia! The East Coast on a Shoestring Package combines the two most popular East Coast destinations in a way that fits your individual travel schedule and your budget! Explore Fraser Island on a self-drive tour in a 4WD vehicle and chill out at Nomads Fraser for 2 nights. Then head on up the coast to Airlie Beach for an exciting Whitsunday Islands escape on an overnight boat cruise and 2 nights accommodation in the tropical paradise of Airlie Beach. Or you can start in Airlie Beach instead, the itinerary is as flexible as you would like it to be! An incredibly fun and entertaining 18-35's party catamaran, Tongarra boasts with lots of deck space to relax and socialise! 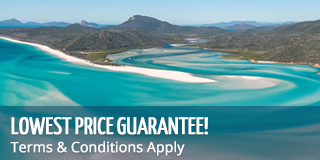 For 2 days and 2 nights, you will sail around the Whitsunday Islands and experience all that they have to offer... explore the protected bays, snorkel the stunning fringing reefs, top up your tan at Whitehaven beach and sleep under the stars at night! An extremely popular boat among the backpacker community, Tongarra has a stellar reputation for exceeding passengers expectations. This is a trip that will not disappoint! You will be spreading the word as you continue your travels... Tongarra is where the party is at in the Whitsundays! You start in Airlie Beach or Fraser Island and use the nights accommodation in both places on whatever nights you like, but we would recommend using one night before and after each trip. Transportation between the two destinations is not included, the distance between Fraser Island and Airlie Beach is 960km (roughly a 12 hour drive), so you need to allow at least one day for travel. Fraser Island - Vehicle hire, vehicle and camping permits, meals while on the Island, return barge, fuel, 2xnt accommodation in a 16 bed en-suite dorm at Nomads Noosa, 2xnt accommodation at Eurong Resort in Tipi accommodation. Fraser Island - Sleeping bag hire if required is $10pp for the entire trip. $ 250 per person fully refundable cash bond to be collected in Rainbow Beach on the way to the Island. ( drivers - credit card imprint) The bond will be fully refunded provided the vehicle has been returned un-damanged. Please ensure you have $100 in cash as there is no ATM available at Rainbow Beach. Alternatively you can pay $10 non-refundable excess reduction fee instead. Transfers - Getting between Airlie Beach and Rainbow Beach is not included, but we recommend the Premier bus service, they operate an overnight bus North and South bound daily, please enquire for prices. "My friend and i were on a tight budget but wanted to see as much as possible and have lots of un. This package saved us so much money and time. We were so happy with our choice and met so many friends.We didn't miss out at all!" "I am travelling by myself and just finished my package. The booking agents were so nice and helpful, and my trip was so wonderful. I met many other people travelling alone and made so many friends. "